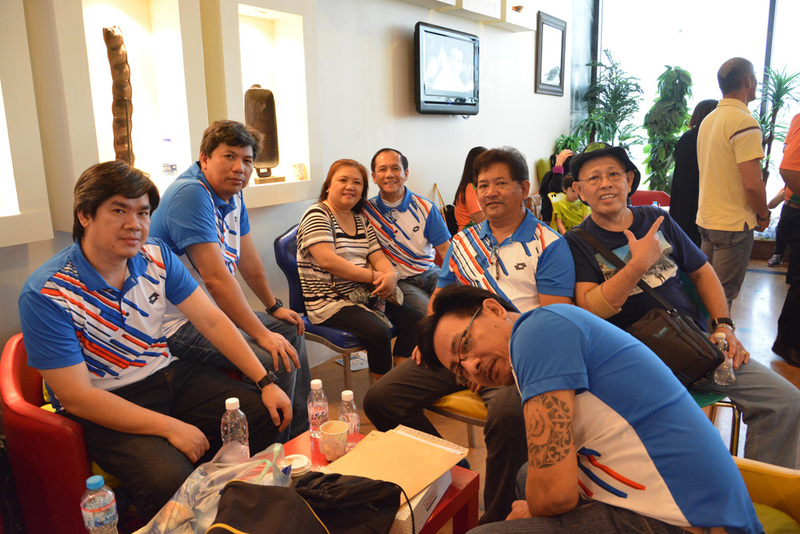 From left: Ryan Tiu, Chuck Lizen, Johnny Diores, Cris Villavelez, Francis Diaz, Al Caorong, Noel Manzano, Salic Mudag, Boy Alarcon. Missing in the picture is Leo Perez who didn't make it to the parade. 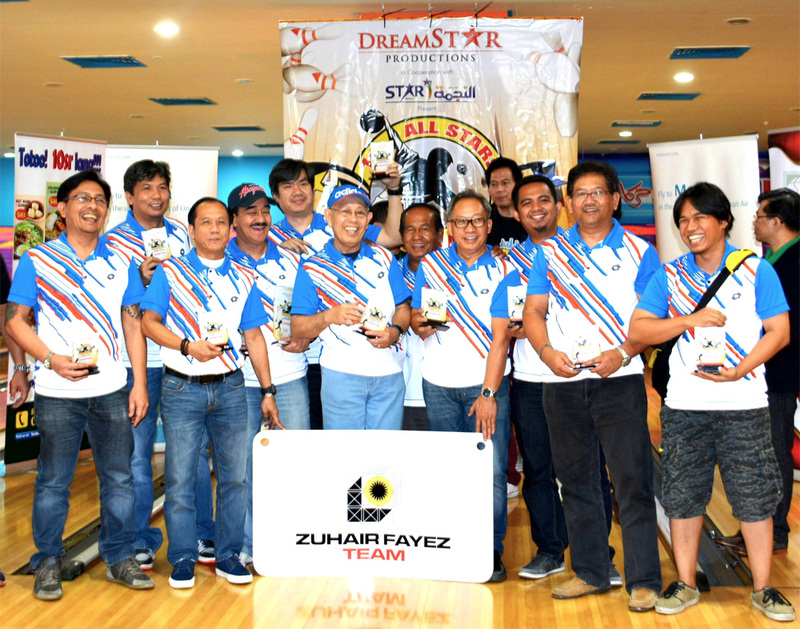 February 27, Friday - The ZFP Bowling team participated and won first place, becoming the first ever champions in the 1st Dreamstar All-Stars Bowling Tournament held at Iceland Bowling Center. 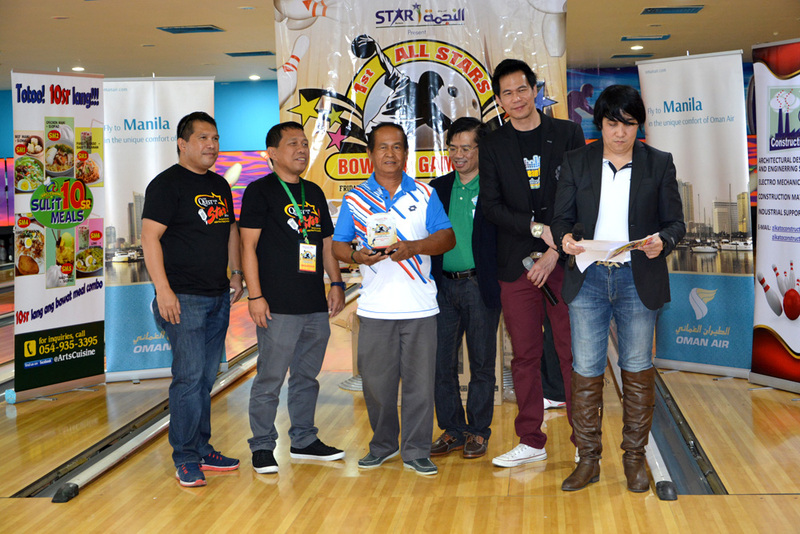 The team, led by Team Captains Johnny Diores and Noel Manzano, were split into two groups; ZFP-1 had Johnny, Cris, Salic, Leo, and Boy while ZFP-2 had Noel, Francis, Ryan, Chuck, and Al. 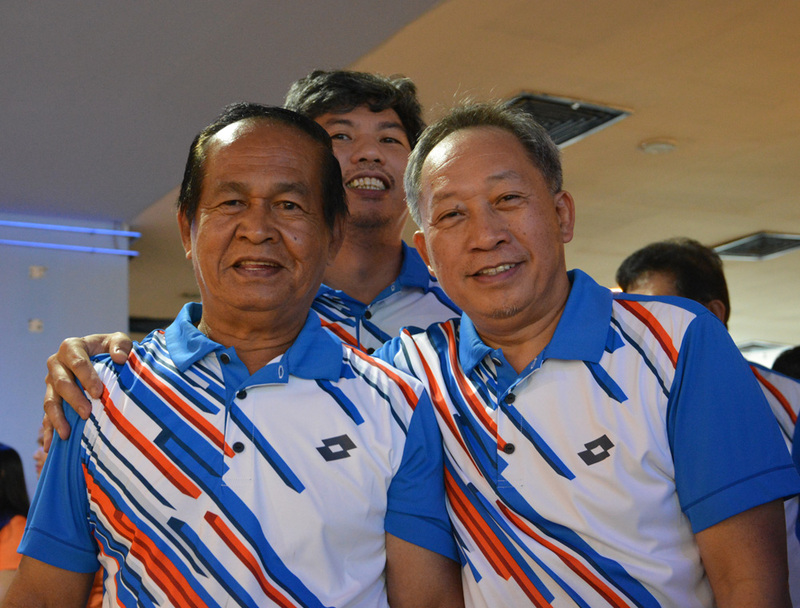 ZFP Bowling Legend, Cris Villavelez, with Leo Perez and Salic Mudag. Salic treated everyone to coffee, much to the team's delight, after being the only one who didn't get a strike in one particular frame. 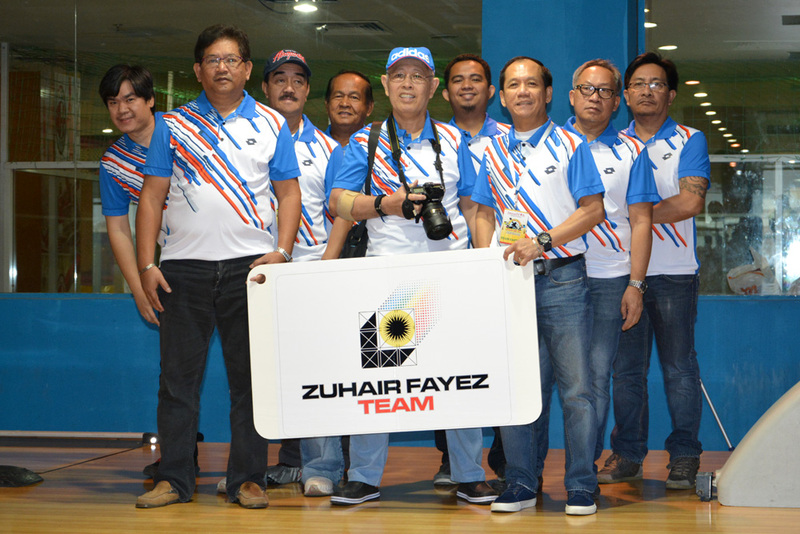 ZFP-1 was plagued with technical problems in the lanes during the first two rounds and whatever momentum they had tried to build was shaken because of interruptions whenever the ball return machine had to be fixed. Round three, however, was a different story. Aside from the lack of technical difficulties compared to the previous rounds, the group got really fired up and had their momentum going. The 'penalty' for being the only player to not make a strike in a particular frame was upped to ice cream instead of coffee. This motivated the players to try and get a strike in every frame. The round ended with Cris getting a score of 208 while Boy got 191. The high scores launched the team into first place. The team taking a break after eating lunch. ZFP-2, on the other hand, had a good start during the first and second rounds but somehow lost their momentum during the third round. They placed ninth overall, out of more than forty teams. Cris Villavelez with Al and Ryan. Team Captain, Johnny Diores, looks over the lanes while the ball return machine is being fixed. Cris got a score of 208 and received an award for having the highest pinfalls in the tournament. The ZFP team is awarded the champions trophy forwinning the tournament.